This article was provided by Ryan Hirst who writes helpful guides and tips for Eurofit Direct on their blog. Ryan is a good friend of mine and I appreciate his willingness to contribute to Sprinkler Juice. 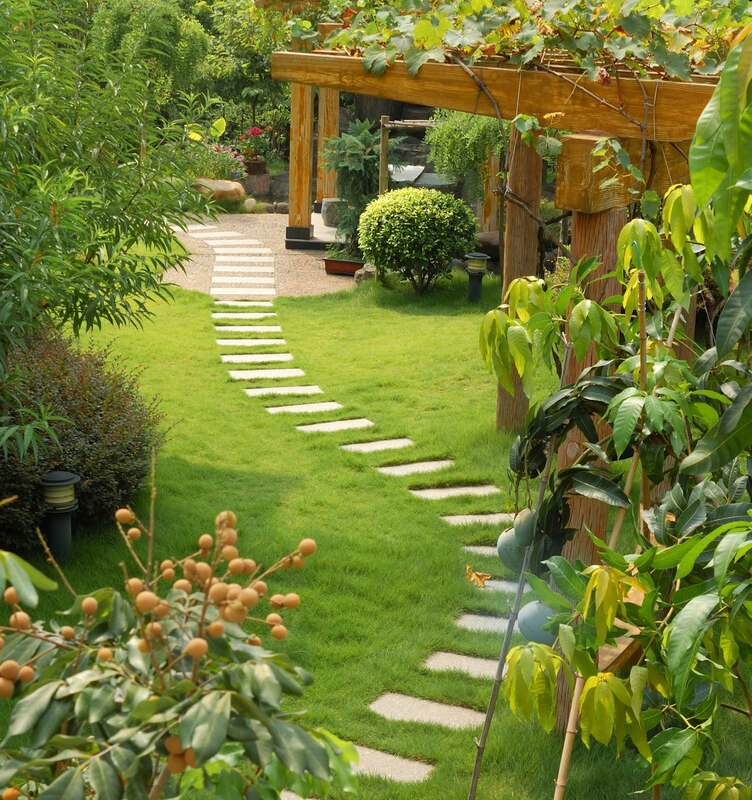 When you decide you are going to landscape your garden, the first thing you need to do is create a well thought out plan, the stepping stones to all success stories are structure. When it comes to planning the main advantage is that you can complete more and more sections of your garden as your budget allows you too. Another huge bonus is the fact you can complete certain areas and leave them to see how they work out before expanding your garden even further. Within your plan you need to decide which existing parts of the garden are going to be changed, along with any existing plantings and structures that will be edited. You must also include drawings and sketches of where you want any features in your garden as well as where your plants will be. It is a good idea to include a plant list in which you need to include any pertinent information about each plant structure, and when ideal times for planting each type of plant needs planting. When it comes to your landscape site analysis it is vital you show what improvements need to be done and what will stay the same within your project. Your analysis should show any plants or trees that will need removing, if any, it is also a good idea to show any trees and plants that already exist in your garden and that will have an effect on the style you are choosing for your garden. It’s also a good idea to say in your landscaping site analysis whether there are any parts of your garden that need more sunlight? Or perhaps there is a part of your garden in which you want more shade? State anything you deem appropriate, it will all help when you begin your landscaping design. Water drainage is one thing that you will have to think about especially if you are thinking of adding something such as large areas of stone or concrete to your garden. It’s a good idea to add any retaining walls to your plan; make sure that water will be flowing away from your home when thinking about the above. Finally it is vital you include any changes in elevation you plan to have in your garden, as well as including any existing elevation on the plans. One thing you need to remember when planning your landscaping for your back garden is what it really needs alongside what you might want. Is a vegetable plot really what you want? Or is it something that you will let slide after a while? Do you need a play area for the kids and will they be using it in a years’ time? Popular landscaping ideas can include large items such as swimming pools and hotubs. This is a popular choice usually for people with plenty of room and not always an essential option for families with young children. Other options to consider are water fountains or other water features, which are a popular choice for families along with people with smaller gardens. Other popular choices include decking area with a theme, back garden ponds as well as pagodas, gazebos, and canopies. Perfection is key when you decide to create your back garden landscaping, so you need to remember there is no time limit. You are creating, in essence, an extra living space and somewhere in which you want to spend many hours with your family or just simply relaxing on your own, so it needs to be right for you to really appreciate it. Make sure you do plenty of research before you decide what you want; one technique is to leave your initial plan for a few days and then going back to make sure you haven’t changed your mind. You need to choose useable spaces in which you are going to benefit; think about things like "do you really want that vegetable plot if you’re not a big gardening fan?" A good way to look at landscape gardening is to remember you are trying to add another room to your home; therefore do you need outdoor furniture? Do you think adding an outdoor oven or built in BBQ area?